Find an image for an eye chart online (I used Google Images) and print it out. You may need to enlarge it with a copier. I did. Using a pencil, color the back of the graphic like I did here. Turn the graphic right side up again, and center it on the tray. Use painter’s tape to secure it. With a pencil, trace the outline of the letters. The pencil on the back of the paper will transfer to the tray. Remove the paper, and using the permanent marker or paint pen, fill the graphic in. I put my new creation on our bedside table and it kinda makes me laugh because, incidentally, I’m blind as a bat when I wake up and have to fumble for my glasses. Get it? I love it when I make something that has an ironic or secret meaning to me or my family. Shared at the thrifty project party at Our Fifth House. Simply put…Love love love it!!!! Oh my gosh I'm so honored!! Thank you ever so much. This is absolutely fantastic. I am so copying this, hope you don't mind. I have this large tin tray that I could not figure out what to do with. Thank you! I not only dont mind, I hope you'll show me how yours turns out! Thx!! I like yours even better. And I would never have guessed that that is permanent marker that's so smart! Love it! We used the pencil transfer technique all the time in school, but I had completely forgotten about it. What a great use of both the technique & that tray! This looks fantastic! I can see a spray-painted cookie sheet being redone this way and looking great. I'm blind as a bat too, so that should make me hate eye charts but I love them! Visiting from your TT&J feature! Congrats! I know, right? So simple! Thx for visiting! It's absolutely ok, and thank you! I'm flattered by your comment, and grateful for your visit. Hope you come back again! Clarie, thanks for visiting! I've been a fan of your blog for awhile now, so I'm flattered you took the time to check mine out. I was so happy for the TT&J feature…made my day. BTW, you're right, cookie sheets would work perfectly for this craft as well. Easier to find, too. Take care! Permanent marker makes it so much easier to make! LOVE it! Thank you, Megan! I'm flattered you stopped by…I've admired your blog for awhile now. It's sooo cute! I saw that tray in a magazine and had circled it as cute… Now I know how to make my own replica… Thank you!!! turned out great! Stopping by via lil luna linky. Thanks for sharing! What a great idea! I need to try this! I would love for you to come link up your blog to my Get social Sunday link party! Very Cool! Love the typography. Permanent marker?! Brilliant idea!! This is such a fabulous idea! I am going to be scouting out TV trays this weekend! Come link up to Centerpiece Wednesday and share your idea with us. Thanks, Karin! I'll check out your blog ASAP! Oh my gosh I love this! How awesome are you with this super nifty project. I am filing this away for a "must do". Great blog! Thx Lindy! I'll be visiting your blog next! 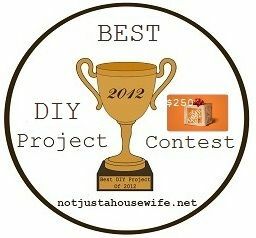 I love knock off projects (crazy prices and saying "I can make that!") and this is awesome! Beautiful job! That's one of my favorite stores and I love your knock-off! Great tutorial! I'd love for you to share it at my blog party, Twirl & Take a Bow at http://www.houseontheway.com. It's every Tuesday. I hope you can stop by! Thank you so much! I'm so honored you stopped by. Thx for hosting!! I'm going to buy a tray at Hobby Lobby this weekend, and do just THIS with it. It's amazing! Visiting from the Thrift It link party..your tray looks great! It looks great. Did you happen to notice the phrase that was spelled out on the original eye chart tray? I did, but not until someone else pointed it out. Ha! The irony!